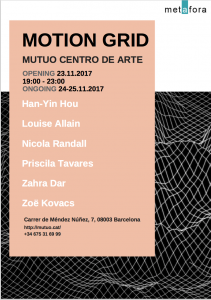 From 23rd – 25th November 2017, the Metafora Art School is taking over the Mutuo Centro de Arte to present to you The Motion Grid. An exhibition displaying the work of 6 of its art students, the evening offers an exciting collection of contemporary artwork accompanied by one or two free cervezas. The Motion Grid explores and investigates the world in perpetual motion. 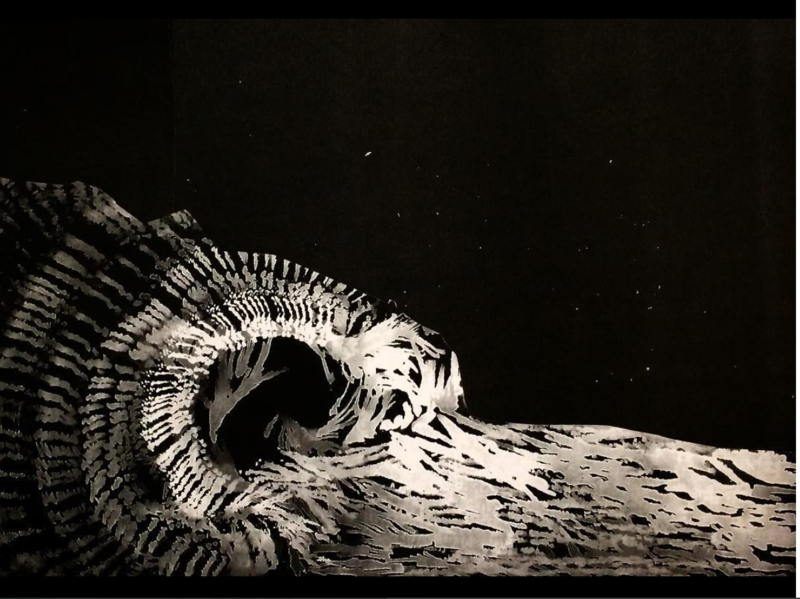 Each artist has produced work which expresses the ebb and flow of daily live, taking into account the scientific use of patterns, maps and schematic drawings to show movement. The exhibition first and foremost seeks to present motion that is uncontrolled and unrestrained by human nature. On a cyclical, elemental and even cosmic level, each cell is involved in some form of motion, that more often than not is beyond human control. The Motion Grid also recognises the impact of human intelligence on motion. Our intricate, sophisticated transport systems have altered the ways in which motion occupies itself.